Cancer didn’t take our hair…we gave it. Her hair started falling out on a Thursday, we cut it on a Friday. This is beautiful. I don’t know you or your family….yet I do know you because we share the same heart for the Lord. 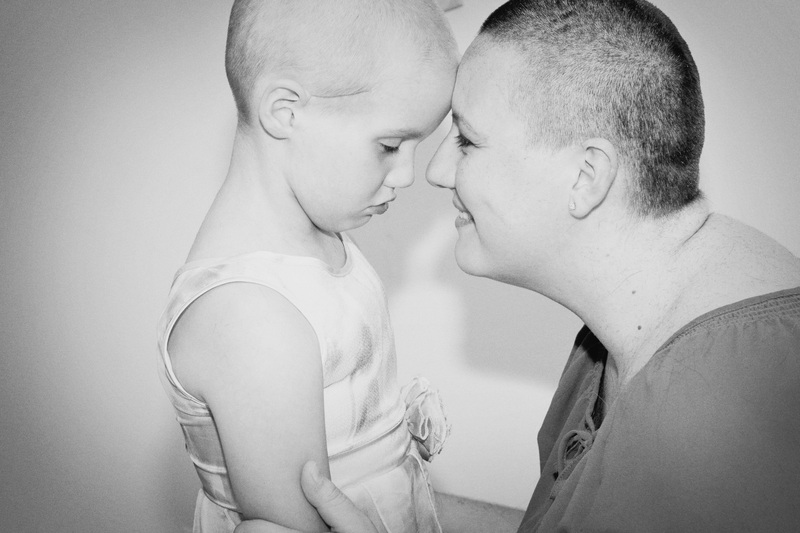 What an incredible gift you gave your daughter by choosing to shave your head. Beautiful…absolutely beautiful. Thank you Jill for your lovely words and encouragement! Thank you for sharing your journey and your faith. God most certainly is beside you…surrounding you and my prayers will be added to those already being lifted. You are a beautiful family! God bless you.